In other articles we have talked about the criteria for alimony awards and the different types of alimony available under Florida law. Now we will discuss how an alimony award can be modified – in which circumstances and the criteria that must be met. Florida Statute § 61.14(1)(a) provides the vehicle for allowing modification of alimony awards. Various Florida court cases over the years have established the rule that a party wishing to modify alimony must establish that (1) there was a change in circumstances; (2) the change in circumstances was not contemplated at the time of the final judgment for divorce; and (3) the change in circumstances is sufficient, involuntary, material and permanent in nature. For a court to order a modification of an alimony award, there must be a significant change in circumstances that warrants such an order. Keep in mind the threshold consideration in whether a court will award alimony is the need of one spouse and the ability of the other spouse to pay. Substantial changes in either of those circumstances may justify an order for modification of alimony payment. Not all of these changes are the result of bad things happening. Sometimes the changes occur as a result of much better paying jobs, or windfalls, such as inheritances or lottery winnings. If the supported spouse is the recipient of the windfall, and now in a much better financial position, then the paying spouse may want a modification because the need for support no longer exists, at least at the level it did at the time of the judgment. Less happy examples of these changes in circumstance are involuntary job loss or medical issues that prevent the paying spouse from working. In these instances, the court looks at the criteria set out above to determine whether a modification is warranted. It stands to reason that if someone is no longer working and their income has diminished, the alimony payment should likewise diminish. Keep in mind that just because the paying spouse is in a better financial position than at the time of the judgment, it doesn’t necessarily follow that the supported spouse will recognize an increase in alimony. They must also show an increase in need. Also, the courts should never put the supported spouse in a position where they earn more than the paying spouse. If that has occurred, then the paying spouse should consider a petition for modification. The courts will usually not consider the expenses of a second marriage sufficient justification for a modification of alimony. 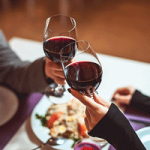 Many paying spouses have attempted to litigate this issue without success. The court considers the obligation to the former spouse extremely important, and will basically tell the paying spouse to live within your means – with the alimony payment. Further, voluntary unemployment, or creating a situation that results in being fired will not be a justifiable change in circumstance which merits modification. You cannot purposely create a situation to decrease your income for the purpose of reducing the alimony payments. 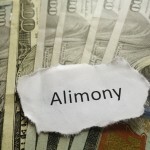 Whether the alimony award can be modified also depends on which type of alimony has been awarded. Permanent periodic alimony is always subject to modification unless the parties have agreed otherwise, thereby waiving any right to modification. This waiver agreement may seem like a bad idea, because who can see into the future? In reality, in some divorces, having a fixed amount that cannot be changed is a good thing – think of a well-off paying spouse who may become even more well-off. They would be happy to set the alimony payment at a known amount, because they do not want the issue revisited when their income or assets increase. Conversely, a supported spouse may be happy to agree to a fixed payment, knowing it will never decrease. Similarly, lump sum alimony is not subject to modification, again, unless the parties agree in advance that it may be. What may be subject to change is the manner of payment. Usually bridge-the-gap alimony is also not subject to modification, as some courts consider this a type of lump sum alimony. Rehabilitative alimony may be modified, as long as the request for modification is made within the specified rehabilitative period – no retroactive requests for modification will be considered. 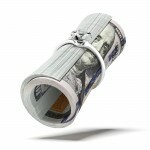 The consideration of retirement in a request for modification of alimony can be a very sticky issue. The Florida courts have considered this problem in a variety of ways. They look at a number of factors to determine whether retirement should be considered as a change in circumstances which warrants modification. The court looks at the age and health of the person, the motivation for retiring, the financial impact of the retirement on their ability to pay, whether the retirement was voluntary or mandated (More about this topic). There is also different treatment for those who are self-employed as opposed to those who work for businesses which mandate a retirement age. Also, modifications are not allowed if such would impoverish the supported spouse. We could (and will) devote an entire article to the issue of retirement and modification of alimony, but suffice it to say this is an area where you need expert legal help to determine your best plan of action. Don’t take a chance that you won’t be able to modify your alimony because you chose the wrong strategy. 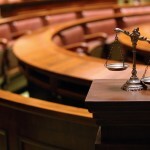 Modification of alimony brings up very complex legal issues. There are thresholds that must be met before a court will even consider modifying an alimony award. Asking for a modification can sometimes open a can of worms – there have been many cases where the paying spouse asks for a reduction, and the supported spouse asks for an increase. You need to know you have a justifiable case for modification, and you need expert legal advice for that. If you have been paying or receiving alimony, and you think that there are justifiable reasons for a modification of the award, you should contact an experienced family law attorney. They will be able to guide you through the maze that surrounds this area of law and help you obtain the best result possible. Does Florida Alimony End When You Start a New Relationship?